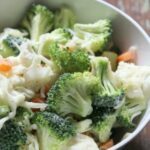 Ranch Broccoli Cauliflower Salad with onions, cheese and Miracle Whip is a salad you could take on your Memorial Day picnic or family gathering. Gotta do something with that leftover veggies, ya know? Do you ever have leftover veggies from a veggie tray? Sometimes we do, sometimes we don’t. Sure, you can eat the veggies raw. Why not? However, sometimes an idea comes to you. Maybe an idea that would turn ordinary plain vegetables into a salad that will make your family stand up and take notice. Maybe, just maybe, it would make your meatatarian husband eat broccoli and cauliflower. Well, maybe not. 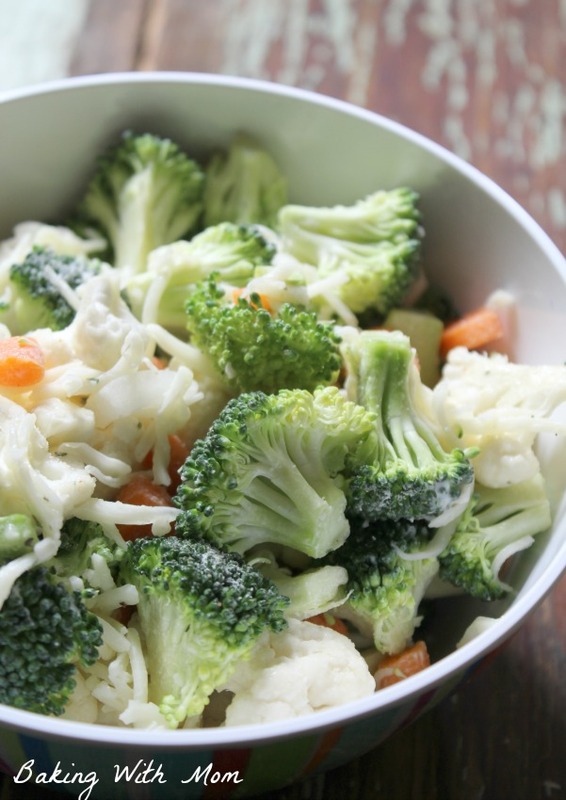 😉 But trust me, everyone else will love the Ranch Broccoli Cauliflower Salad. Everyone. 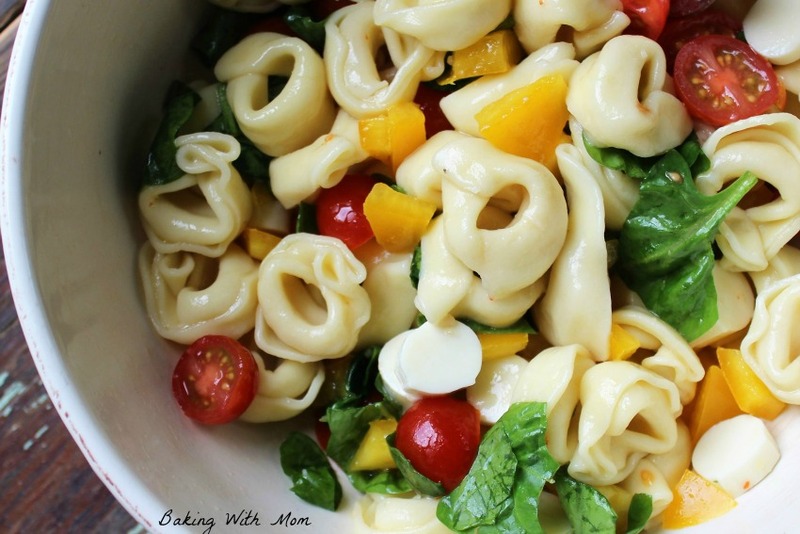 It is simple recipes thrown together to make a delicious dish. The beauty of using leftover vegetables from a veggie tray is the vegetables are (for the most part) already cut up. It’s a time saver too. Of course, if you just wanted to make this salad anytime, it isn’t hard to prepare. Put some music on the Pandora and chop, chop, chop. I am not a mayonnaise girl. I really don’t like it overly much and rarely put it on anything. My hubby only wants me to buy Miracle Whip (has a tangy zip, ya know!) and I must say, I agree. 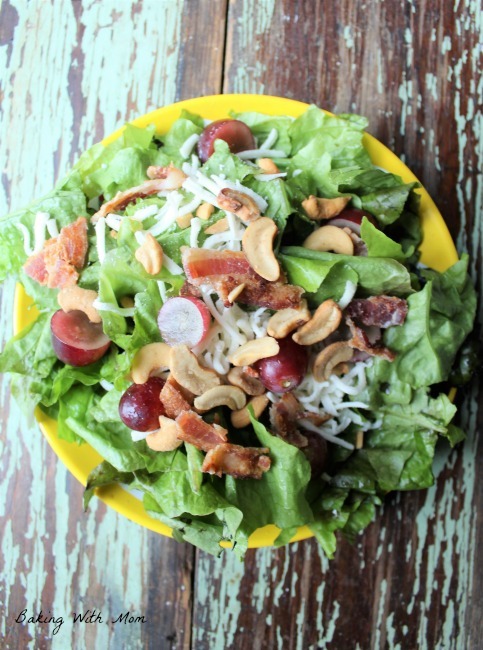 The Miracle Whip in this salad is the perfect taste and compliment to the ranch seasoning and vegetables. Like peanut butter and jelly. Really. You can add carrots if you would like or if you would prefer, cucumbers. I also added a touch (and I mean touch) of onion to give the recipe an additional kick. And crunch. A crunch kick if you will. The ranch seasoning is simply the ranch dressing powder packet from Hidden Valley Ranch or Aldi’s. Either one works. Take this side dish recipe to a picnic or family gathering. It would be great for Memorial Day or Mother’s Day. Be sure to bring a cooler and keep the salad cool, due to the Miracle Whip. Do you make any recipes like this one? Could you share them with me? What do you put in them? 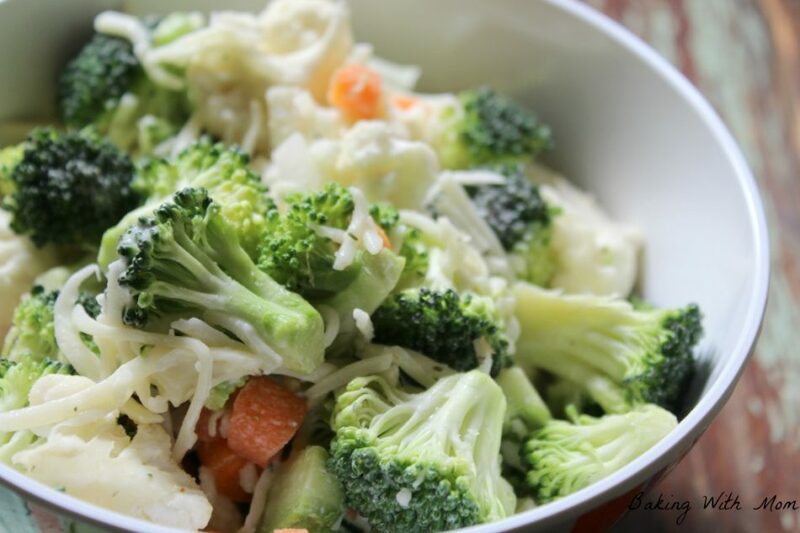 This salad recipe for Ranch Broccoli Cauliflower Salad has a ranch dressing you are sure to enjoy. Plus there's cheese.